The 1st of May Labour Day holiday was perfect for making the last few days a very long weekend. Enough time to do some hiking around Munich. A hike that is counted among the classics of hiking tours around Munich is the Wendelstein tour. 1838 m Wendelstein close to Bayrischzell belongs to Mangfall mountains. From the cable car valley station in Osterhofen it takes about three hours to get to the top of Wendelstein. 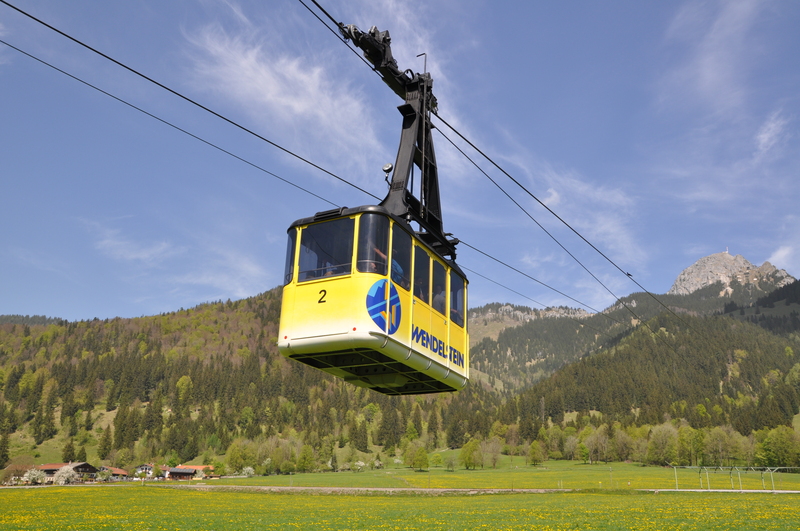 The route is quite diversified, but not as difficult and the very good thing about Wendelstein is that you can choose as well the cable car for either way as an alternative. Instead of having a bigger break at Wendelstein on the top, you could also choose Bergcafé Siglhof in Hochkreut, which is a lovely place to finish your hike with a fresh blueberry buttermelk or a beer with a magnificent view to the mountains. Wendelstein can both be reached by car and train. Going by train, you catch the BOB (Bayerische Oberlandbahn) to Osterhofen. Going by car, the address for the satnav would be: Osterhofen 90, 83735 Bayrischzell.